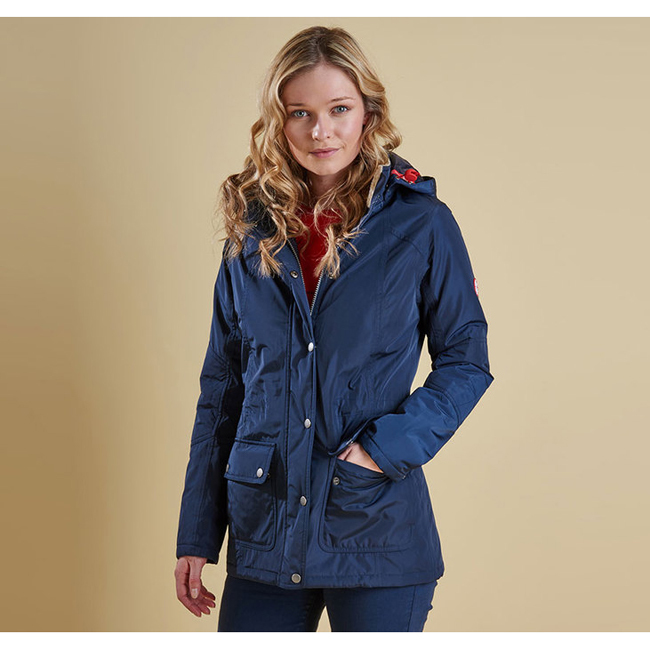 The Aspley Jacket is stylish women's waterproof jacket that offers reliable protection from wet winter days. Inspired by Barbour's historic supply of protective outerwear to polar explorers, this winter-ready jacket is trimmed with cosy Sherpa fleece to the inner collar and features shaped seams that emulate the appearance of map contours. The outer fabric is robustly waterproof yet comfortably breathable, and an inner drawcord to the waist allows the fit to be adjusted to accommodate extra layers without sacrificing shape. The generous hood is edged with contrast tape and can be detached for an alternative look on dry days. The jacket is awesome. It fits perfectly, its really warm but its not to heavy. I recieved it right when they said I would and it was in perfect condition.